Kathy and I would like to thank you for making Ruby's transition so peaceful. Dr. Meg came and was very compassionate and she gently told us everything she was doing and what to expect. Ruby was surrounded by her beloved pack. 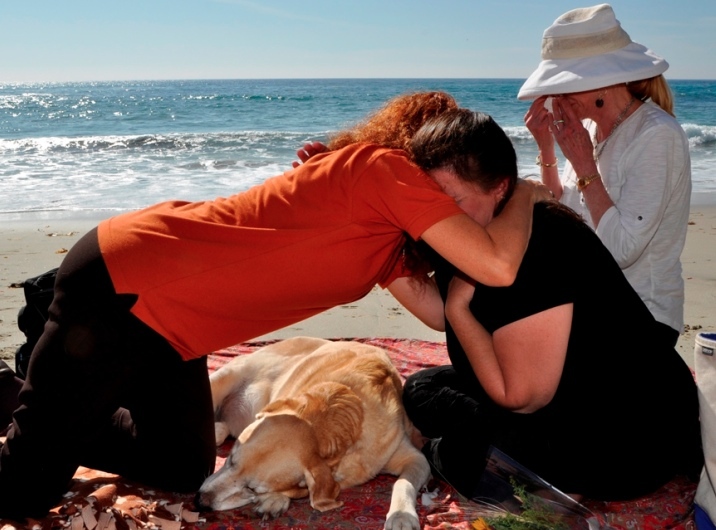 We couldn't think of a more loving and compassionate way to say a final farewell. I cannot thank you enough Dr. Forslund and your staff for your service. I feel very fortunate to have found it. It provides the owner to safely see their pet into their next journey, lovingly and serenely. You and your staff provided a wonderful service. 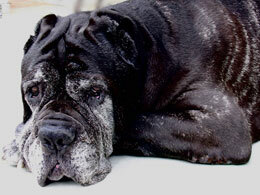 What a wonderful gift to give a beloved pet, to die comfortably at home. Dr. Meg was fantastic! She was compassionate, professional, and made the process comfortable for both me and my lovely little boy, Buster. Buster was a rescue cat, and my constant companion for over ten years. While I miss Buster every single day - and fight back tears even now - I’m am so very grateful for the time we shared together. I take comfort in knowing he not only had a good life, but also a good death. Thank you, Home Pet Euthanasia, for such a dignified and deserving send off for my little boy Buster. I will always choose to release my loved pets from suffering with Dr. Forslund. Being able to spend those last minutes comforting my sweet baby surrounded by friends and in the comfort of home makes it such a special farewell. NEVER easy but I get to remember that my sweet boy was cared for with compassion by Dr. Annie and her team. I miss you terribly Munch, so does Kat and Daisy. There is a spot missing in my heart that can't be replaced but I know you can run free now big guy. 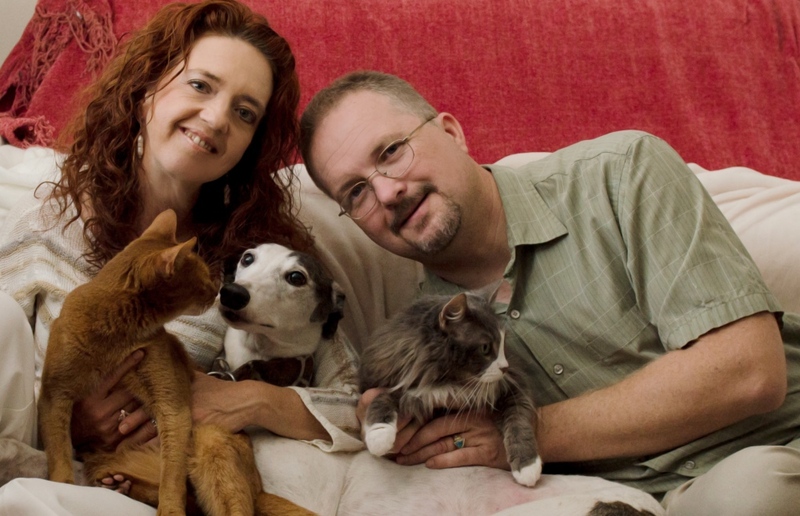 We want to personally thank Home Pet Euthanasia as well as Tracy Renard and you, Dr. Forslund. 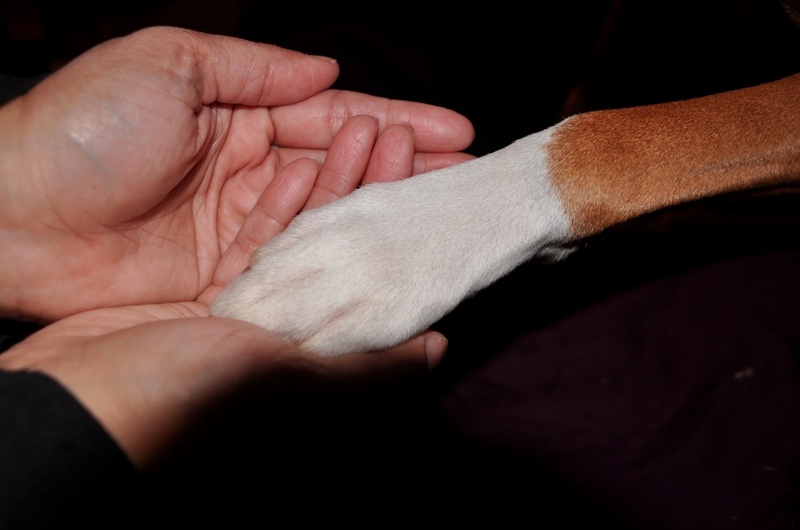 We were very impressed with the support and patience the entire Home Pet Euthanasia team had with us. Thank you again for the wonderful job you did with Roxy and allowing her to pass in such a loving way with us by her side, it really meant the world to us. Thank you for what you do. You are so appreciated. Dr. Meg was so WONDERFUL!!! She was so very kind, even her tone of voice made what she had to do say better. I appreciate the hug she gave me when she left. The other thing I would like to tell you is I received a card from Dr. Meg a week or so afterwards and that was just another touch of class that your services extended and it was truly appreciated. Rufio was pure love and never had a mean bone in his body. They say that we rescue them but I think it’s the other way around. Our lives were so enriched. I was grateful for being able to have Rufio’s last moments to be in his own comfy bed with all that loved him and his big beaver tail wagging. You have such an amazing gift of compassion. You have the exact words to say at the time they're needed. You're so right to say that we'll always wish we could do more for our fur loves. Thinking about that has brought me some peace. Thank you for allowing us to say goodbye to our dear girl in the comfort of our hotel room. The work you do is so important. I am sure that there are many people, despite their profound gratitude, who find it difficult to see through their pain to follow-up with you. I know it has taken me a great deal of time. Thank you again for the good, loving work you do. I was so grateful to find you on Yelp, and even more grateful to get such a quick response. Lucy had always loved the beach, so we planned to stay at Huntington Dog Beach for a day or two... well, she was positively re-energized and we were all having so much fun that we just stayed... and stayed... we stayed for three weeks!!! I figured that this stay cost way less than the chemo treatments and was much more therapeutic. We knew that Lucy was nearing the end of her life. After a year long battle with urinary tract cancer, she had stopped responding to chemo. You helped us through this sad time in our lives. Thank you for your professional service. I really do think you care. I would highly recommend you and team. My best friend Gracie, of almost 12 years, was the greatest companion a person could ever have. She enjoyed a happy, healthy life with us. We were inseparable from puppyhood until her last breath. She has crossed over the rainbow bridge. Gracie was the best! I loved her and she loved me. She will be missed immensely. “Bye Gracie”, until we meet again, “you be a good girl, I love you”! Thank you for making a difficult decision a little bit easier. Hunter and Sophie are chasing skunks and squirrels together somewhere over the rainbow bridge. Dr. Annie, you are unique and use your God given talents by turning them into blessings for those of us having to undergo this experience in all its finality. You were the most caring, kind and gentle person I have ever met. I had as much time as needed to say goodbye to my very precious pooch, easing all the pain. Thank you for being so reassuring and compassionate. Thank you is so insufficient for the wonderful work you do, Dr. Annie. Roxy, my sweetie pie, I love you so very much it seems you are still alive as I think of you so very often each day and night. It meant the world to me to be able to say goodbye to Roxy in her home-our home. As it was, we said goodbye out in the backyard. After all, I was saying goodbye to my sweet and loving partner. I'll never forget what a young man said to me when Roxy was a puppy "Your dog is looking into my soul." And she could and she did. Amen! Dr. Annie, thank you all for what you do. I also want to thank Dr. Meg as she was comforting in this awful time. She was a friend I didn't know I had. I was devastated when I had to do this to my baby. Dr. Meg made it bearable. I would not have gotten through this without your wonderful and caring home program. I did not want to let my baby go, but we can't keep them here forever. My cat was very ill and has never been anywhere but in the home for 19 years. The last 10 years were exclusively in the house, he had never been in a crate either and I was devastated to have to take him somewhere to kill him. This service saved my sanity and gave my cat the love he so needed to leave this world. Thank you Dr. Annie, Dr. Meg and staff. 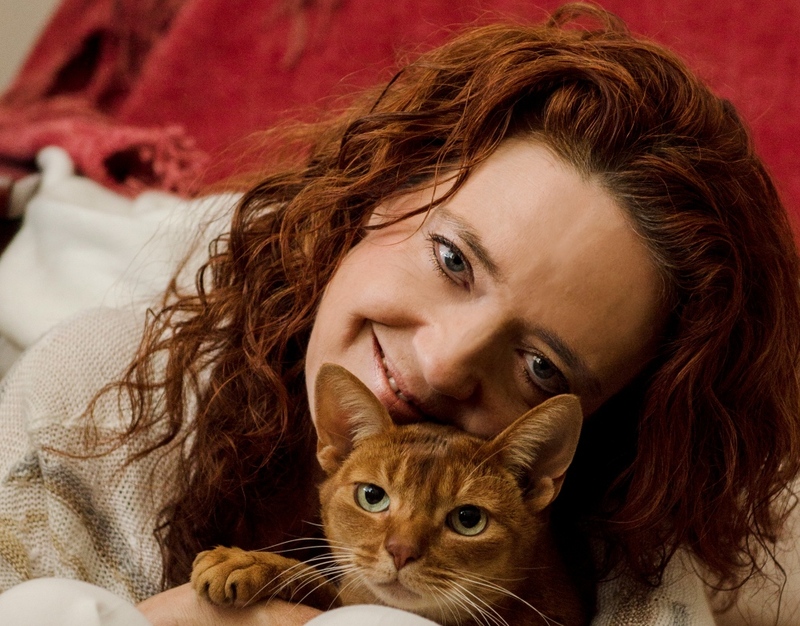 Dr. Annie Forslund was truly compassionate and caring with Cinnamon and us-the pet parents. She spent time listening to my husband telling her stories of our "little one". I don’t think I’m imaging the glow of light and compassion on Dr. Annie’s face. She gave us the precious gift of lovingly saying goodbye to our little girl! We’re forever grateful. Cinnamon was our world! Our little girl had a rough life before we adopted her at 6 years old and our mission was just to love her. I had no idea how much she would give us in return and change our lives forever. I called her my husband’s second wife because for eight years she followed him everywhere and was his constant companion. Dr. Annie told her she was a good girl and was so brave. Cinnamon wagged her tail and went to lay down where she slept at night by the fireplace and waited for us. I got on my stomach to lay next to and spoke to Cinnamon as we shared our final moments together. Thank you for your kindness and expertise. Being at home made things easier for me. My dog was comfortable and at ease. I could hold him and make a small ceremony. It was perfect, as I expected it would be. Thank you! Dr. Annie was gentle, patient, kind and genuinely intent that the euthanasia of our dear Jake would be a beautiful, peaceful event. We could not have had this sad occasion handled more beautifully. Thank you for all of your help. Jake, the greatest gift of love to my parents and the entire Alexander family, was a bouncing, 110 lb, skinny, yellow lab who needed a home after his owner tragically passed away. Dogs are not pets in our family. They are like siblings and fur children. Jake’s intelligence amazed us. We will all miss you and love you Jake. Some day, our family will gather in HEAVEN. The reunion will be joyous. Thank you very much for your compassion and concern. Dr. Meg was lovely and made sure we understood what each step was and how it would affect our much-loved girl. Leona’s passing was peaceful and Dr. Meg gave us as much time as we needed to say good-bye. Thanks to you and your team for being there for us. We will always be so grateful. From the moment she chose me, I knew Leona was special. She was an adventurous puppy. Always happy to be cuddled or just hang out. She was a far better dog than I’m sure I ever deserved and I am so grateful we got to spend the last 18 years together. She was quite simply, the best dog, ever. I’m going to miss my girl but I know she’ll always be with me, in that paw print on my heart. I know it was the right decision. It was time. And again, thank you.